Owner/Executive Pastry Chef Stephanie Caughell always knew she would find herself in an artistic AND yummy career! With a significant family influence of food and cooking, she began to realize that what made her truly happy was the reaction she saw each time someone experienced her edible creations. As an artist by hobby, she wanted to create beautiful things. As a foodie she wanted to communicate to people through food and desserts. 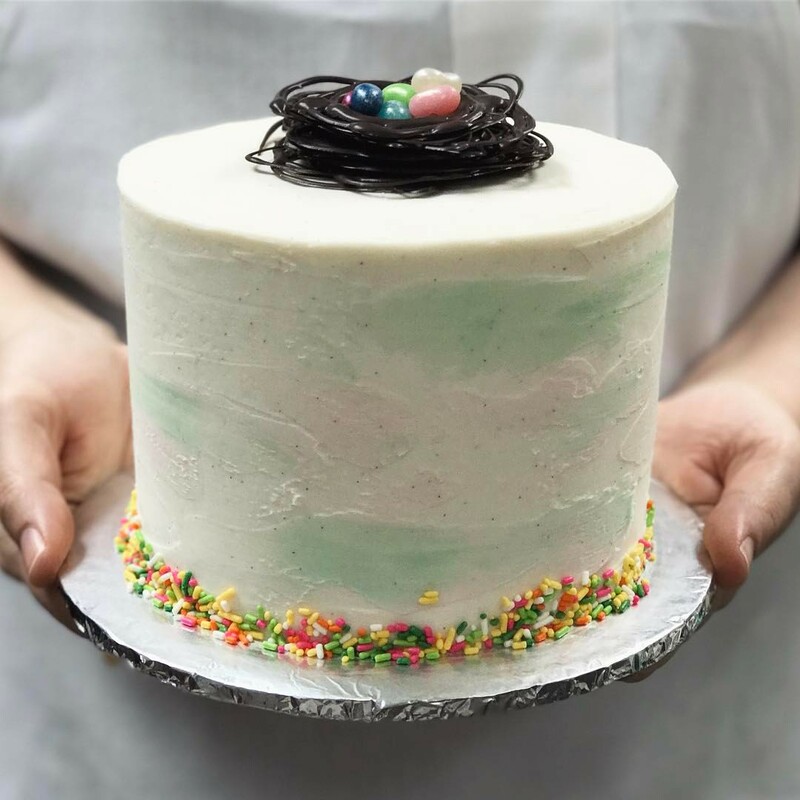 Chef Stef found her passion turning her love of art and sugar into edible creations and soon realized she had fallen in love with the art of Pastry and Cake Design! Chef Stef jumped into Pastry School head first and graduated with honors and was elected by her instructors to be the graduation speaker. From there she was accepted for an internship spot with Ron Ben-Israel Cakes in Manhattan NYC, where she learned the NY way of cake design. Next she worked side by side with one of the most talented Pastry Chef’s in the world, Ewald Notter, in Orlando for four weeks perfecting the art of chocolate and sugar showpiece design. She brought all the knowledge and new experience back home and found no jobs to continue honing her skills. With the help of some close friends and lots of taste testers, Gimmee Some Sugar Cakes was born!